33kv cable is another hot-sale product in medium voltage cable, which belongs to armoured cable. 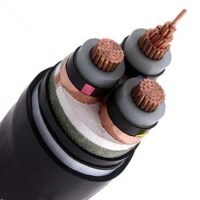 Because the insulation material is xlpe, so you can also search 33kv xlpe cable and 33kv underground cable. The application is the same with mv power cable. You can use it in the transformer or the whole building electricity supply. If you want to buy low price 33kv cable with high quality, huadong can satisfy you. Now, you can click here to get quotation with 33kv cable price. Email: sales@hdarmouredcable.com. Standard：IEC 60502, BS 7870, GB/T12706 Etc. How to choose low price 33kv xlpe cable with low price? If you know other cables, you may know the producing process of 33kv underground cable is more complex. Therefore, you should pay attention to when you choose. First you should choose manufacturers, which owns factory. In this way, you can get a low 33kv xlpe cable price. Meanwhile, once you have any problems, the factory worker can solve for you and can give you some advice. You can communicate well with them. You may find more than one 33kv cable manufacturers, and you get a 33kv cable price list. Price may be the second factor. If the price is much lower than normal, they must be the nonstandard cable. If their price is similar, you can have a though. For example, if you pay attention to the service, you can have a judge. There are so many factors you can refer. I am sure you are professional person. Email: sales@hdarmouredcable.com. Huadong Cable Group adheres to every producing standard, whatever the producing, testing, package and delivery. You can come and see our 33kv cable factory: our advanced machine and equipment, our skilled worker, strict testing and scientific storage. I am sure you will have a nice trip and choose. What’s more, we located in Zhengzhou city, Henan province, China. We are close the low price material. We can get high-quality material with low price. So our 33kv cable price will be competitive. So choose huadong you can choose low price 33kv xlpe cable with security prove. Email: sales@hdarmouredcable.com. How to solve high-quality 33kv underground cable using problem? Whatever any products we use, they will get broken, and will have many reasons. We should analysis these reasons first, and we can solve it. As for 33kv xlpe cable, we can know which problem will happen, and we can take preventive measures. Email: sales@hdarmouredcable.com. 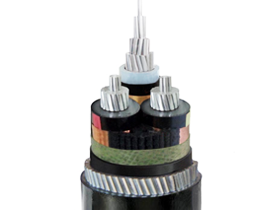 In the using 33kv underground cable, the insulation damage is the most direct reason of damage. As for insulation damage, the most direct way is external force damage. When the cheap xlpe 33kv cable gets injured by the external force, it will be directly blackout accident. As we all know, we often install 33kv xlpe cable underground. In the process installation, it can be broken by the heavy traction of the construction machinery. Excessive bending of the cable can damage the insulation. In the process, you may need cut the 33kv underground cable, the excessive cut and deep marks will damage the insulation or the shielding. These external all can broke the 33kv underground cable. So please be careful when you install it. Now you can get our 33kv xlpe cable price list now. Email: sales@hdarmouredcable.com.